Over time, the Apple Mail app can become slow and bloated with all the lovely spam you receive. If you are a long time user of the Mail app, you may have noticed that it becomes slow after some time. If you are among the people who are wondering why such a thing happens, then continue reading below. The apple mail app stores a lot of local data on your Macbook for faster (and offline) access to your emails. When you don’t have an internet connection, or when the Internet is slow, data is read from that folder. If you don’t regularly clear the app data from its folder, the file access will start getting slow. The first thing that you need to do is disconnect from the web. If you are using WiFi for the internet, turn it off. 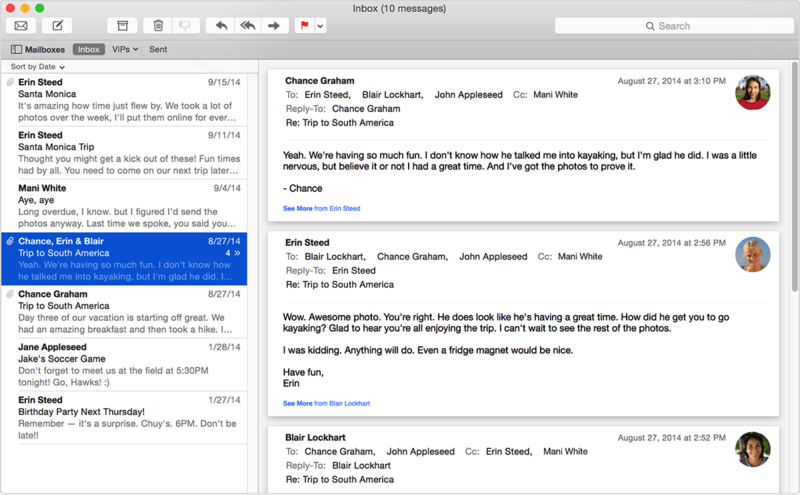 You need to this because the Mail app uses the internet to sync your mail over the web. The reason for slowness is the huge amount of data that it needs to download and process. Turning it off cuts the connection so the mail app would open faster. Open Finder and press Command + Shift + G keys to use the “Go to the folder” command. Type ~/Library/Mail/V3 and press Enter. This command will take you to the local storage location of the Mail client. V3 is the folder name where all these files are stored. You can either delete these files or put them somewhere else. This is the folder from which the Mail app reads all of its data when you open it. If you are worried about any data loss, just rename the V3 folder to something like V3.backup, or V3.old. It doesn’t matter as long as it is renamed. Opening the Mail app won’t be so slow now. All of the mail is synced via the web, so the files you just moved (or deleted) files will be downloaded again if you don’t do anything. If these files are synced again, they will bloat the V3 folder again making the mail app slow again. To counter this behavior, you can use the web interface for the Mail platform that you use. All of the traditional mailing services have their respective websites where you can manage your emails. Head over to the one which you use and log into it. Delete all the emails and attachments that you don’t need. Further reading: Clean Up Your Messy Gmail with These Extensions and Services and How can I mass-delete 2k+ mails on Yahoo Mail? I tried to follow these instructions but the info I’m meant to put in the search bar doesn’t go to any mail folder. Is there another way to access the V3 folder? I also followed instructions but V3 could not be found. I did find V2 & V5. Can you help me?